At Imprimerie Plantagenet Printing we are committed to continuously improving our services and products. 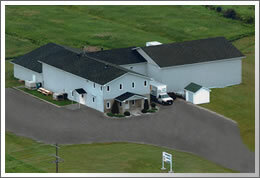 Imprimerie Plantagenet Printing is a full service printer located in Plantagenet Ontario Canada. We offer full colour offset printing and digital printing complemented with full bindery service and a logistics department to handle mailing of printed pieces. Our knowledgeable team of technicians and sales consultants will offer guidance and solutions for your printing and business requirements. Our goal is your complete and thorough satisfaction. We are continuously upgrading our technology and are proud to use environmentally friendly and biodegradable materials.